From the ridge to the reef the CNMI’s coastal zone provides beautiful and bountiful resources. While the land and sea provide social, economic, and environmental benefits, these resources must often be actively managed to ensure that they can support current and future needs. Permits are intended to help development and uses minimize impacts to the environment – as well as minimize impacts of the environment to these projects! 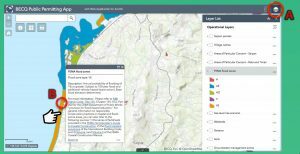 A “Major Siting Permit” is required for all major developments, uses, or activities that have the potential to cause significant adverse impacts to coastal resources. Learn more by reading DCRM’s Major Siting Guidance Manual here. If you are unsure if your project needs a permit or if you have any questions, please feel free to ask us! Call 664-8300 or contact us here.